That Joker Guy is an avid cosplayer and artist, well known for his (freakishly accurate) portrayal of the Heath Ledger Joker from Batman: The Dark Knight. A long time member of The Sean Ward Show cast, he's had success with videos such as Spider-Man Meets The Joker and Joker vs Joker with Make Em laugh films. He has also portrayed the Jared Leto Joker from suicide squad, and has made his own versions of the character (see the end of "The Bat-chelor") along the way. 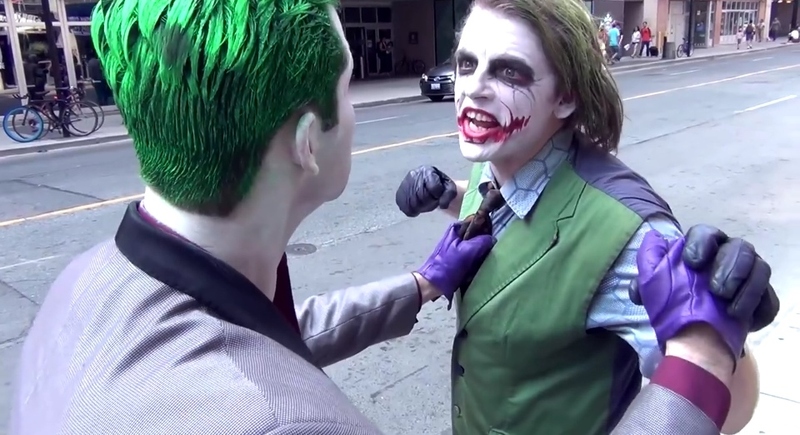 When he's not acting for The Sean Ward Show, he makes his own videos on his YouTube channel, Toronto Joker with acted shorts and vlogs. He is also a regular at other comic cons, such as Hamilton Comicon, Niagara Falls Comicon, Fan Expo, and more, drawing and commissioning art for all the beautiful people who want to buy it. As an artist, That Joker Guy’s work ranges from the traditional art medium, digital work, video and music. Contact him for commissioned artwork, convention invites and in-person appearances. and buy his art on etsy!